AS Monaco came from behind to take a share of the spoils at Amiens thanks to a goal from Jovetic. The Red & Whites are back within three points of PSG. The international break came to an end with tonight’s fixture at the Stade de la Licorne in Amiens. The Red & Whites travelled to Picardy knowing that a win would put the pressure back on PSG. Leonardo Jardim went with a 4-4-2 formation, led by the strike pairing of Carrillo and Falcao. The game started scrappily with a string of fouls by Amiens players. While the Monegasques dominated possession, clear-cut chances were few and far between. The home side took advantage on the half-hour mark as former Monaco man Gakpé was played in behind and steered a low effort past Subasic and inside the far corner. Amiens went on to defend their slender lead until half-time. 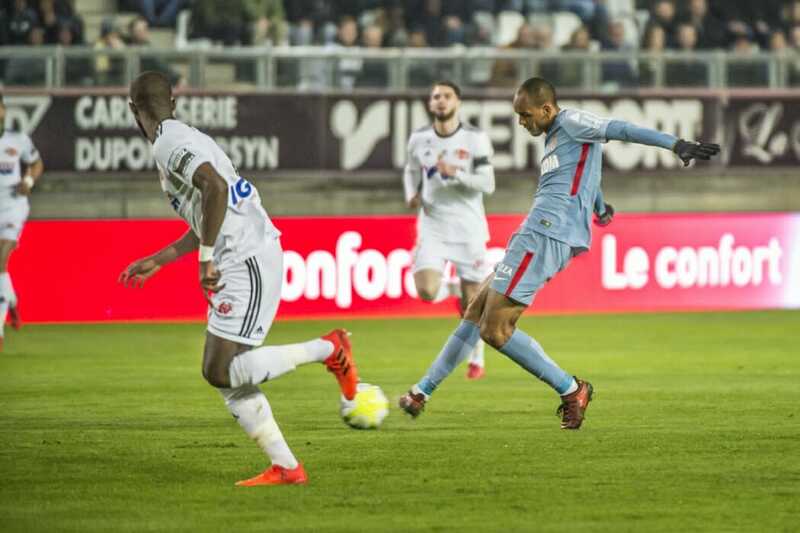 The second half started at a higher tempo and initially it was Amiens who had the better of proceedings, Konaté coming close to doubling their lead in the 49th minute but directing his header over the bar. While Falcao had the chance to level matters with a curling effort, in the end it was Jovetic who bagged the equalizer in the 67th minute, having only come off the bench a short time earlier. The Montenegro forward was set up superbly by Fabinho, who did sterling work down the right and delivered an inch-perfect cross. One goal apiece. Despite their best efforts and late chances, AS Monaco were unable to find a winner and had to settle for a point that takes them three points behind PSG, having played a game more. The focus now turns to the Champions League, with the visit of Leipzig to the Louis-II on Tuesday. Make sure you’re there to get behind the Red & Whites!